Not every member of the Liberal Party was overjoyed when they merged with the Social Democrats – there is still a small rump of old Liberals who are clearly not enamoured of Nick Clegg or his party. 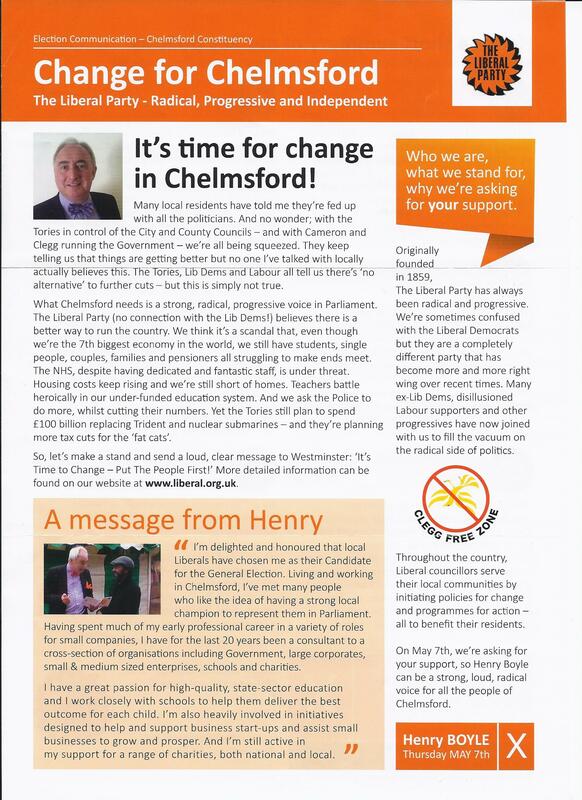 I am not sure how many candidates they are putting up in the General Election, but they are contesting Chelmsford. They should eat into the Liberal Democrat vote here. Worth remembering that, whilst being part of the Independent group on the council, Prittlewell’s soon-to-be-ex councillor Ric Morgan is actually a Liberal party member.